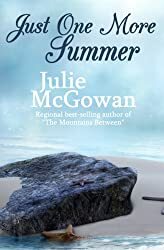 Today I’m really pleased to introduce Julie McGowan; a truly prolific author. Hi Judith, pleased to be here… and happy to share. Right, tell me, please, why did you choose to write in your particular field or genre? If you write more than one, how do you balance them? My two novels set in Wales are both historical fiction set in the first half of the twentieth century. It’s a period of time that has always fascinated me, particularly how people lived through two world wars and still manage to do all the normal things like fall in love and get married etc. I also write contemporary fiction, not set in Wales, and switch between the two as the mood takes me. I read from an early age – not much on the telly then! Also, I was involved in amateur dramatics through our chapel from childhood and that inspired me to weave stories. 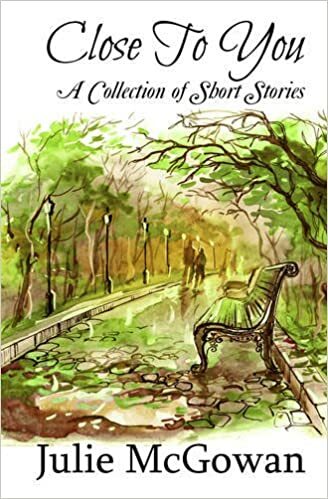 Novels, commercial short stories for women’s magazines, features for national publications, pantomimes, sketches for adults and children, songs. I think it widens people’s horizons and enables them to experience situations and places that they may never come across in their lives. I think this is particularly important for children, and get quite cross when publishers etc think children’s books should only reflect the lives children lead. Very pleased J. K. Rowling ignored that! 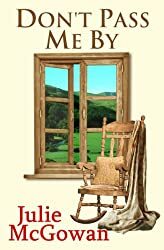 ‘Don’t Pass Me By’ includes some scathing reflections on the narrowness there used to be in some Welsh village chapels. I’m a practising Christian, but firmly believe that everyone should be allowed to follow their own spiritual path and not be weighed down by church dogma from any faith. I wanted to remind people that the movement of evacuee children during WW2 didn’t always have the happy ending we like to glorify when these times are looked back on with rather rose-coloured glasses. I also wanted to show the difference between how children were treated then, and how our helicopter-parenting style today can be overprotective. I think I’ve achieved both objectives. My research was rather solitary, but after the book was published I was contacted by a lady in her 80s who wanted to share her harrowing experience of being an evacuee. Her story was more amazing than anything I’d written! But the message she wanted to give me was that she wasn’t destroyed by her experience and that life can turn around – she was just brilliant. I read books about first hand accounts of evacuees from South Wales, and used the internet, particularly the BBC history website. Portraying elements of child sexual abuse that makes the reader understand the emotional turmoil the child is going through whilst not making the actual abuse too graphic. Feeling I’d succeeded with the hardest parts as outlined above! By not being scared to take chances and change direction – which could be construed as blind optimism! The much under-rated, in my view, Monica Dickens, and Elizabeth Jane Howard, both of whom succeeded in building wonderful stories around everyday people and multi-stranded novels. They helped me to look at the subtleties of human behaviour and made me want to express those subtleties in short, often oblique descriptions or sentences. Most useful was writing a weekly column for a local paper which had to have a strict word count, so I learned how to edit my work and make it ‘less is more’. Least useful were some of the rejections from agents rather than publishers, who seemed to enjoy a critical put-down rather than a polite ‘no thanks’. Part time, which occasionally makes it difficult to get back under the skin of a character. Nurse, health visitor, school matron, town clerk, actress, theatre-in-education director to name but a few. Health visiting in particular I think increased my empathy and understanding of family dilemmas and I think has helped me to describe characters’ emotions. I think there is a place for eBooks but they will never replace the feel of a print book in one’s hands and the anticipation of turning to that first page… Alternative publishing, when done well, can challenge conventional publishing, as long as it’s well edited. I had already had two books produced by the same publisher, so this book was already agreed. For my first book I went through the usual tortuous process of trying to find an agent or publisher and in the end worked my way through the list of publishers who would accept unsolicited manuscripts. 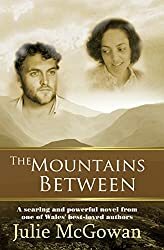 It’s a page-turning story, with a number of characters that resonate with the readers, and has a strong emotional content, set in a turbulent time, but in a beautiful place. I try to carefully portion out my week to include writing time amongst my other commitments, but it often goes wrong! I have a story and main characters in my head, and know how I want it to begin and end. Then I write, and often change the flow of the story as other characters work their way in, but the main plot ends the way I envisaged. I do numerous book signings, talks, writing classes, book fairs and festivals. They do take up some time but are invaluable for meeting people and getting my name known – and often give me ideas for new characters! Predominantly novels but of no particular genre – whatever intrigues me. I’ve just finished my latest novel so am doing a final edit. One of my books has been published in Germany, so my publisher is trying to get rights sold in other European countries. I may start another novel after the summer, once this year’s panto has been written, which has to be ready by September. And my favourite for dealing with popular authors who’ve already done a lot of interviews: What question do you wish that someone would ask about your book, but nobody has? Write it out here, then answer it. Answer: It has to be Arfur, the young lad from the East End who finds it so hard to settle in a small Welsh village, and is so determinedly loyal to his good-time Mum, even in the face of all the evidence that she has deserted him. Once I’d got his character established I wanted to take him home with me! This entry was posted in authors, blogging, Books, contemporary womens'fiction, historical, Interview with authors, Interviewees, interviews, romance, Tenby Arts Festival, tenby book fair, Uncategorized, Wales and tagged #blog, #women, #womenauthors, #womenwriters, #womenwriting, authors, books, contemporary women's' fiction, historical fiction, Novels, Readers, romance, Tenby Arts Festival, tenby book fair by Judith Barrow. Bookmark the permalink. A great interview, Judith! I’m a big fan of Julie’s books myself. Her short stories are brilliant and Her novels are real page turners. I’ve really loved them all! Really enjoyed this interview with Julie McGowan!